Hewlett Packard Enterprise Company (NYSE:HPE) investors should be aware of an increase in support from the world’s most elite money managers in recent months. HPE was in 30 hedge funds’ portfolios at the end of September. 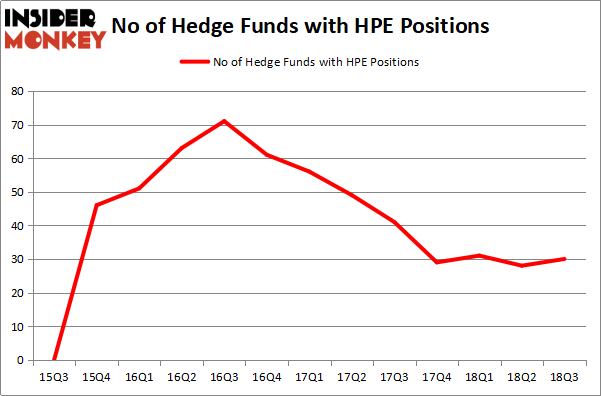 There were 28 hedge funds in our database with HPE holdings at the end of the previous quarter. In the 21st century investor’s toolkit there are many gauges stock market investors can use to value publicly traded companies. Some of the most under-the-radar gauges are hedge fund and insider trading activity. Our experts have shown that, historically, those who follow the best picks of the elite fund managers can trounce the S&P 500 by a healthy amount (see the details here). HP reported a 12% rise in revenue from a year earlier in its recently released fiscal third-quarter earnings report. Personal systems, HP’s main revenue engine, generated $9.4 billion in revenue, while the printing segment produced $5.19 billion in revenue, beating the $5.11 billion consensus estimate. HP expects to post 52 cents to 55 cents in earnings per share in the fiscal fourth quarter and $2.00 to $2.03 for the full year, adjusted for certain items. Recently, the company announced it was purchasing Apogee, an office supplies dealer based in the United Kingdom, for approximately $500 million. Our avid readers will be interested to know that board member Michael J. Angelakis was responsible for the last major insider purchase, snapping up 34,000 shares at $14.76. The stock trades at $15.00 as of this writing, a small increase of 1.63%. Let’s take a gander at the new hedge fund action surrounding Hewlett Packard Enterprise Company (NYSE:HPE). How are hedge funds trading Hewlett Packard Enterprise Company (NYSE:HPE)? At Q3’s end, a total of 30 of the hedge funds tracked by Insider Monkey held long positions in this stock, a change of 7% from the previous quarter. By comparison, 29 hedge funds held shares or bullish call options in HPE heading into this year. With hedgies’ sentiment swirling, there exists an “upper tier” of notable hedge fund managers who were boosting their stakes considerably (or already accumulated large positions). The largest stake in Hewlett Packard Enterprise Company (NYSE:HPE) was held by Pzena Investment Management, which reported holding $561 million worth of stock at the end of September. It was followed by AQR Capital Management with a $123.5 million position. Other investors bullish on the company included Two Sigma Advisors, Millennium Management, and GAMCO Investors. With a general bullishness amongst the heavyweights, some big names have jumped into Hewlett Packard Enterprise Company (NYSE:HPE) headfirst. Element Capital Management, managed by Jeffrey Talpins, established the biggest position in Hewlett Packard Enterprise Company (NYSE:HPE). Element Capital Management had $23.7 million invested in the company at the end of the quarter. Jonathan Barrett and Paul Segal’s Luminus Management also made a $8.2 million investment in the stock during the quarter. The other funds with brand new HPE positions are Dmitry Balyasny’s Balyasny Asset Management, Matthew Hulsizer’s PEAK6 Capital Management, and Paul Tudor Jones’s Tudor Investment Corp.
Let’s now take a look at hedge fund activity in other stocks similar to Hewlett Packard Enterprise Company (NYSE:HPE). These stocks are Welltower Inc. (NYSE:WELL), Lam Research Corporation (NASDAQ:LRCX), PACCAR Inc (NASDAQ:PCAR), and Cummins Inc. (NYSE:CMI). All of these stocks’ market caps are similar to HPE’s market cap. As you can see these stocks had an average of 26 hedge funds with bullish positions and the average amount invested in these stocks was $708 million. That figure was $1103 million in HPE’s case. Lam Research Corporation (NASDAQ:LRCX) is the most popular stock in this table. On the other hand Welltower Inc. (NYSE:WELL) is the least popular one with only 18 bullish hedge fund positions. Hewlett Packard Enterprise Company (NYSE:HPE) is not the most popular stock in this group but hedge fund interest is still above average. This is a slightly positive signal but we’d rather spend our time researching stocks that hedge funds are piling on. In this regard LRCX might be a better candidate to consider a long position. Hedge Funds Are Crazy About Weyerhaeuser Company (NYSE:WY) Is Omnicom Group Inc. (NYSE:OMC) A Good Stock To Buy? Here is Why You Should Buy Alphabet Inc (GOOGL) Now Do Hedge Funds Love CorePoint Lodging Inc. (NYSE:CPLG)? 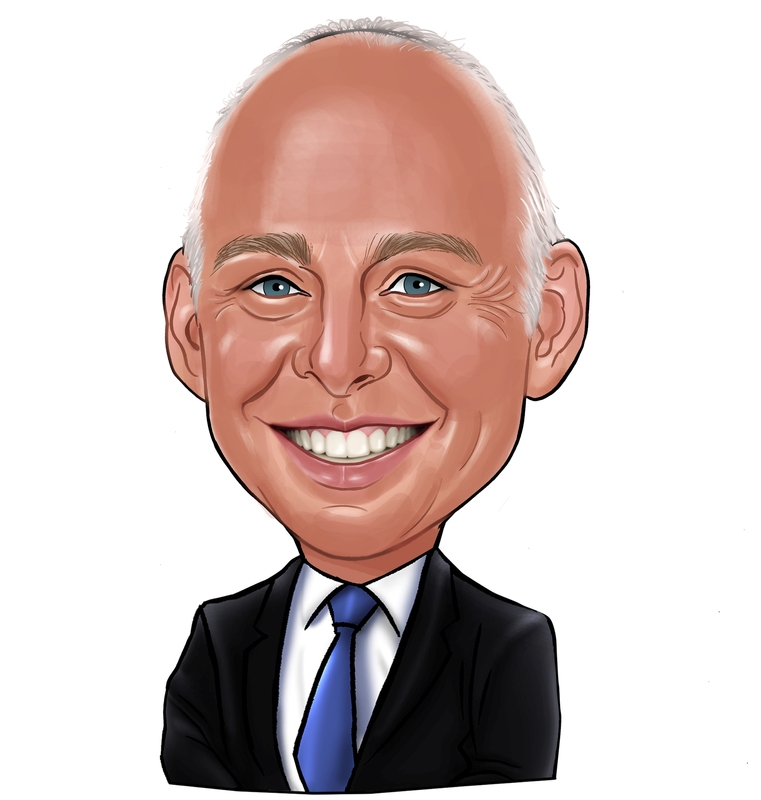 Here is What Hedge Funds Think About Mastercard Inc (NYSE:MA) Should You Buy The St. Joe Company (NYSE:JOE)?